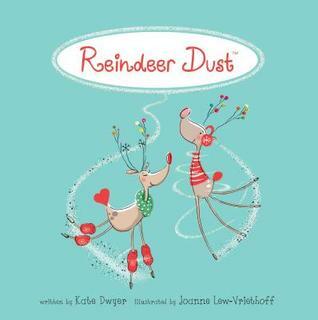 Reindeer Dust is a charming story book to read with your whole family! It’s Christmas Eve and Santa has been so busy preparing for his round-the-world deliveries that he’s forgotten to feed his reindeer. To top it off, a thick fog is making it hard for Santa and his reindeer to find the houses down below. But a clever little boy has an idea: reindeer dust. He cooks up a sweet and tasty treat for the reindeer and, as long as the children truly believe, it lights the way for the Christmas Eve visitors. I really enjoyed this sweet holiday story with lighthearted illustrations. I can easily see it becoming a holiday tradition for families. The book even includes the recipe to make your own reindeer dust and a poem to read on Christmas Eve. Reindeer Dust isn’t only a tasty treat for Santa’s crew; it’s also a very special treat families will love. Disclaimer: I received this book for free from Smith Publicity via NetGalley in exchange for an honest review. This does not affect my opinion of the book or the content of my review.